Unai Emery has ruled out any permanent signings for Arsenal this month. Arsenal manager Unai Emery has confirmed that Arsenal can only afford to sign players on loan this transfer window while speaking to the reporters ahead of their fixture against West Ham this weekend. The Gunners were heavily linked with Barcelona flop Denis Suarez, but now it seems they'll have to wait until the summer transfer window to make an offer for permanently signing the former Manchester City man. Unai Emery invested heavily in new reinforcements when he took over the reins at the Emirates from the legendary Arsene Wenger this summer. He spent close to £70 million on players like Leno, Torreira and Guendouzi, who have become first team regulars under him. Arsenal started out the season well, and at one point went on an unbeaten streak in the league, but sit at fifth position in the standings at the moment, 7 points behind arch rivals Tottenham Hotspur. 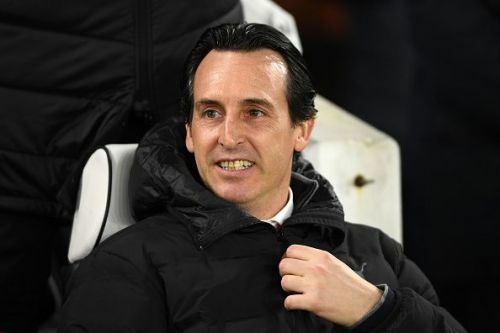 So, Emery knows that they need to make even more investments in players, and are in need of a center-back and a winger, as he conceded last week after their FA Cup win. But now, he has to take his club's financial condition into consideration, and admits that signing new players on loan is the only transfer activity that'll take place at the London based club. "We cannot sign anyone permanently, only loan players this January." "I don't know his [Suarez's] situation but we can only sign on a loan." “I respect his decision a lot." "I want his behaviour and his focus to be on West Ham on Saturday." Arsenal have a lot of work to do if they wish to get back into the Champions League next season. After starting the new year with an emphatic victory over Fulham, they would like to continue their winning ways against the Hammers this week in their Premier League fixture. Who does Arsenal need to sign in the January Transfer Window?